Anyone who's followed me for a while knows that I have been playing Dreadknights since they were released. I love my big baby Terminator carriers! It's tactical dreadnought armor, C'mon x-to-the-z... Get it right! In 5th edition I tried many different variants in casual games, but when it came to tournaments... There was only ever one choice: A Personal Teleporter and Heavy Incinerator. 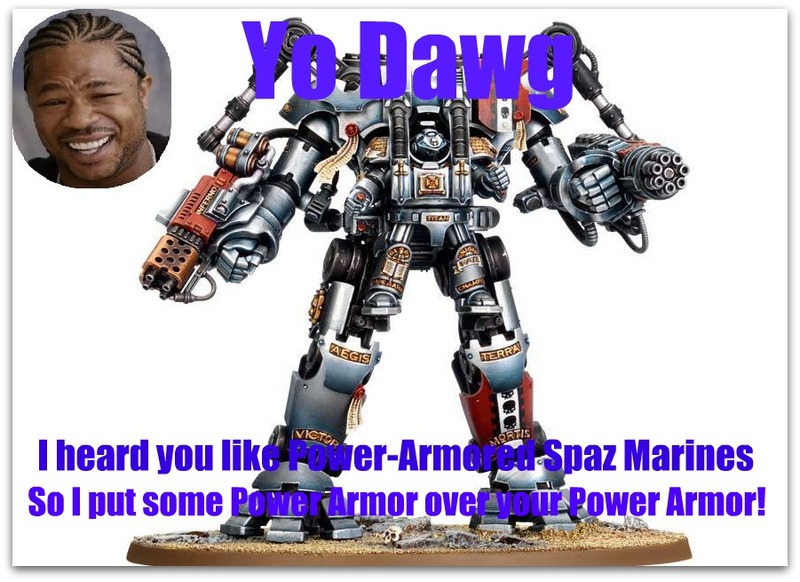 The Dreadknight is by far the most versatile unit in the codex when equipped thusly. It has a high amount of mobility, is very durable and can roast light vehicles and infantry without much fear of reprisal. Let's take a look at his available options and see how this awesome unit has changed in 6E. Heavy Incinerator - Still awesome! This ability is becoming more common in other codexes, but the Heavy Incinerator still does it's job. While not as good as the flamer on the Chaos Dragon, the DK incinerator will force a lot of saves to be made or wipe the floor with a lot of xenos scum! Heavy Psycannon - Speaking of which... I have tried this several times in 5th ed and was never really impressed with it's output for the point cost. I would much rather have two more GK bodies than this. Nemesis Daemon hammer - Here you are paying ten points to make the Dreadknights melee attacks concussive. That's not so hot considering you can still activate your force weapons on multi-wound models. Nemesis Greatsword - The Greatsword exists in a weird place in the DKs arsenal. It's fairly costed and has an excellent ability. And in 6E, it's a second non-specialist CC weapon so you get 4 attacks standing. But the problem I see with it is that it just doesn't push him far enough into the "CC monster" category. While the DK will wipe the floor with a 5 man marine squad with no upgrades, he will never be able to take a 5 man TH/SS termie squad. Greatsword or no. So, when optimizing your list, I would suggest skipping the sword but if you have points that you can't find a place for, it's not the worst way to spend them. Personal Teleporter - The teleporter is almost mandatory. It's a lot of points, but the amount of versatility this adds to the model is priceless. This not only gives you turn-by-turn mobility, it gives you the ability to reposition once per game. An ability GK lacks for the most part. It also turns the GK into a Jump Monstrous creature(which only adds a limited featureset, but it's something I guess?). What's the best combination you might ask(hopefully you are if you read this far!)? Well, it depends on the layout of your army. If you are playing a Grand Master, I would play the DK either as a gun platform (H. Incin + H. Psycannon) or in my standard config (H. Incin + P. Teleporter). The DK is a real threat when it is scoring as it can camp an objective like a boss. 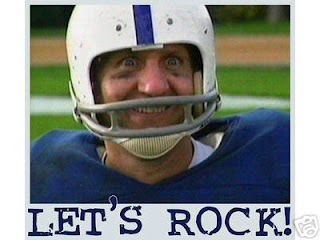 You will want to have him take a forward or mid table objective though. Firstly because of his medium-ish range, and secondly, because you don't want 200+ points of your army sitting there doing nothing! Saving your shunt for late game while the DK is scoring is a real threat as well, as you can get onto objectives that are lightly or not at all defended. Your Objective placement strategy and the inclusion of servo skulls should affect your gear choice as well. 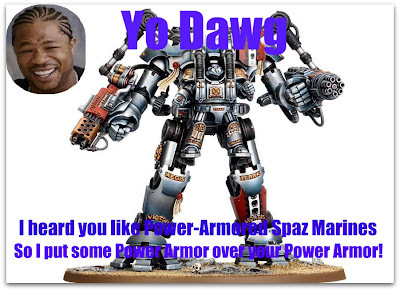 If you anticipate playing against a majority of marines, then you should consider the H. Psycannon. Do your best to place the objectives in the open, as that will make any rends an auto-death. DO: Play DKs in multiples. One will generally die, but it is very difficult to kill two. One option is to rush these guys in, leaving your firebase unmolested. DKs into an opponents line turn one or two will have your them doing all they can to focus the DKs down. Leaving all your shooting elements to do what they do best. Shoot. It also lets you advance your medium range firepower to the mid-table where they can be the most effective. DON'T: DKs are not the CC monsters they may appear to be. They will not take down an un-wounded Ghaz or Mephiston or TH/SS termies. They may be able to finish off one of those units after they take a pounding, but do not think they can solo the biggest bad asses in the 40k universe. DON'T: Blindly rush someone's line hoping they will survive. If you are playing against a melta or plasma heavy army, the DK will not make it. 5+ is incredibly unreliable and cover is hard to come by for this giant model. DON'T: Forget to take anti-flyer tech. When using your HS slots on DKs, you may find yourself light on anti-flyer weapons. Make sure you have this base covered as DKs can't do anything to flyers. Overall, I feel like the DK is just as strong of an option in 6th ed as it was before. GK may have lost some of their lustre in the 6th ed transition, but they are still one of the top choices for a primary force. Have you tried the DK? How'd it work out for you? Upcoming: allies and GK, do you take them? and what to take if you do.